* Total number of reviews and star-ratings are based on data collected during the time period Hays Cooling, Heating & Plumbing has been using the ReviewBuzz system and may not directly match the data found on each public review site. Kevin was the technician who did our Spring AC tune-up. He arrived early and did a thorough job. He went out of his way to help diagnose and fix an issue with a sound coming from the condensate line. He provided excellent service. 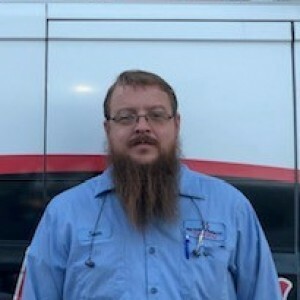 Justin gave me good info on the service of my thermostat as well as: answering all my questions on extending the life of my AC/Heating system. Cordial, knowledgeable and an excellent serviceman. I would recommend this company to my neighbors. Matt was very helpful, got the job done quickly and explained everything clearly. Error message indicated the System was down. Justin is a very informative gentleman. He takes time to explain what’s going on with the unit and how it works. He goes beyond the call of duty to make sure everything is sealed and that every piece is secure on the unit. This company definitely has a talented and highly trained field/service worker. Their price beat the quote by the high profile advertising AC company by thousands. Prompt and professional installation. Justin came out a week later to explain thermostat operation and spent almost an hour explaining operation of variable speed system. He was very, very good. I have recommended Hays to several friends contemplating AC replacement. Justin and Kevin came on October 16th to check on our new Trane Air Conditioner. They were professional , knowledgeable and most helpful in explaining what they were doing. We could not be more pleased with them and Hays Cooling and Heating. I highly recommend them. My air went out last Wed, Brandon came on Thurs. pm. He worked into the night then came back next am. He wasn't going to quit! He rewired my whole unit, in & out. Its working beautifully now. I have to tell you my Trane is 27 yrs old!! Kara was very pleasant and prompt in scheduling a same day plumbing appointment with Josh and his intern. Two previous plumbing appointments, with another plumbing company, yielded no solution to the problem. In fact, the situation deteriorated to the point where my new Reverse Osmosis system stopped working, completely. The owner and staff of Hays Cooling, Heating and Plumbing were very professional and skilled,and provided my home and family with the best Reverse Osmosis system in a necessary and expedient manner. I strongly RECOMMEND this ethical and professional plumbing company! Jeremiah was very professional and precise in the work he did at my home. Very pleased. Jacob, was professional, informative and does great work! One cool dude and very professional. I came home from vacation to find that my air conditioner didn't work and it was hot! Frank not only arrived within less than an hour from my phone call, but knew just what the problem was. He went into my hot attic many times and up and down the stairs to make sure the problem was fixed. I couldn't be happier and much cooler. Thank you Hays...you are the best! Frank deserves a raise for his great customer service and expertise! Justin not only was able to solve my AC problem but found 3 other potential problems. Plus he is a most personable young man. 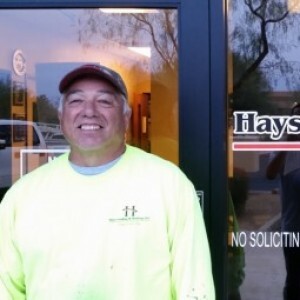 Customer service is always a top priority at Hays Cooling, Heating & Plumbing. Our BBB Membership A+ rating is like a badge of honor as we continuously strive to provide the best experience for our clients. Brandon R has a 5-Star rating and leads the company in total reviews, making this pro a ReviewBuzz Rockstar! Brandon was on call on Sunday and he came and provided us feedback on what we needed. He was very professional and explained what we needed to do to replace the part on our a/c. He followed up the next day and has been in contact with us regarding our next steps. I would recommend Brandon and Hay’s to anyone who doesn’t want to overpay and honest, quick service! We received excellent service from Hays and Brandon. He was very thorough in both the cleaning and the tuneup. He suggested ways we could improve our system or make it safer without any sales pressure. Good people to do business with! New AC installation 6 month checkup. Technician arrived on time. Courteous and well-presented. He changed all filters for us (we are seniors). BIG HELP. He offered tips on our carbon monoxide meters, checkups and a lot more. Best checkup we have ever had. Hays is a new company for us and I think we'll stick with them. Very pleased. New cost was very fair, no cost for check ups. Brandon Ruiz was at my house from 11 AM to 5:30 PM to fix a major problem with my air conditioning unit. 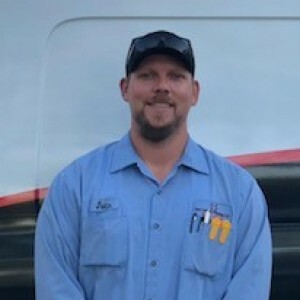 He is the most conscientious and professional individual I have ever met, and as a homeowner/widow, I have had multiple service calls for a variety of reasons in my house. HIGHLY RECOMMEND! I have had terrible experience finding an AC company that will fix the problem rather than focus on trying to sell products I don't need. I called on a Saturday and had a tech out within 2 hours. Brandon was professional and took the time to show me what the problem was and what my options are. They will be getting my business for a long time if this is their everyday standard. THANK YOU! Brandon was professional and exceeded my expectations. I highly recommend Hays!! Brandon and his trainee were very efficient at diagnosing our AC unit's problems. They had spare parts in their truck and were able to replace our worn out parts without delay. They were professional and explained everything they were doing to the extent I could understand. They were also very pleasant though it was at the end of a very long day for them! This company is so honest and caring. We had an unscrupulous dealer install two AC Trane units for us and would not come back to fix the many problems we faced. Even though Hays did not do the original installation they came out and worked to fix the problems that should have been handled by the original installer. They charged us very little as they felt really bad for us and wanted to help us out. From the techs to the management this is a first rate customer service business. You can trust this business. Thanks, Chris, Steve, Frank, Mike and Brandon R for all you did for us. We are grateful. Hays people are the best from the bottom to the top. These people are so kind and honest. 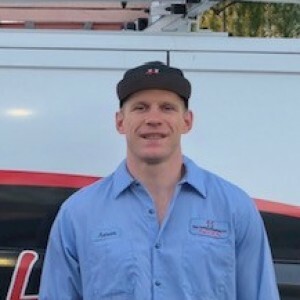 They have helped me out last when another Trane air conditioning company in Gilbert really did an awful job installing 2 new air conditioners for us and wouldn't come back when there were immediate problems. Hays went above and beyond to help us out and were soooo reasonable! Wouldn't use anyone else but them. Technicians Mike and Brandon R are super nice and very knowledgeable. IT DOES PAY TO CALL HAYS. Wish I had found them sooner. Your service representative, Brandon R., was prompt, courteous, and presented a professional image. My air conditioning concerns were discussed fully and your representative explained the workings of our conditioning system in plain language and very concisely. It became clear that your representative cared that I, as a consumer, was being treated fairly and equitably. Your representative went about his work quickly and efficiently and took the time needed to get his work done competently. I might add that he exhibited a command of "people skills." One can only hope that his work ethic is emblematic of your business. I will be in touch to work out a seasonal maintenance program.